The day when cars routinely warn each other of impending crashes is near. 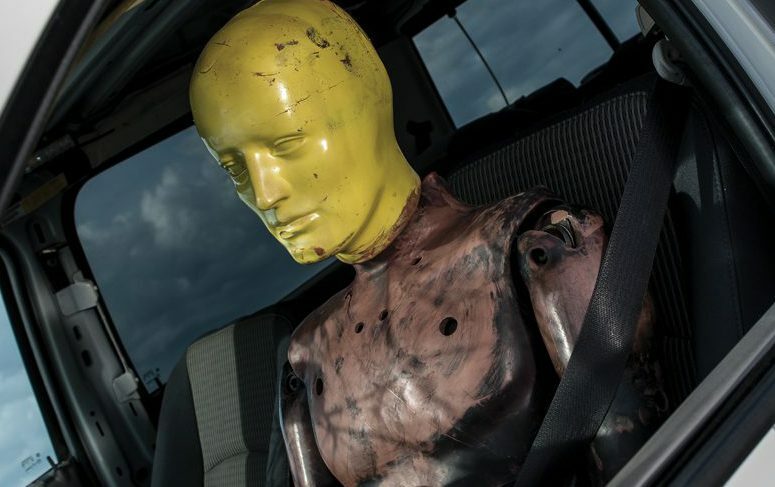 Yet half of all traffic deaths involve a lone vehicle running off the road. 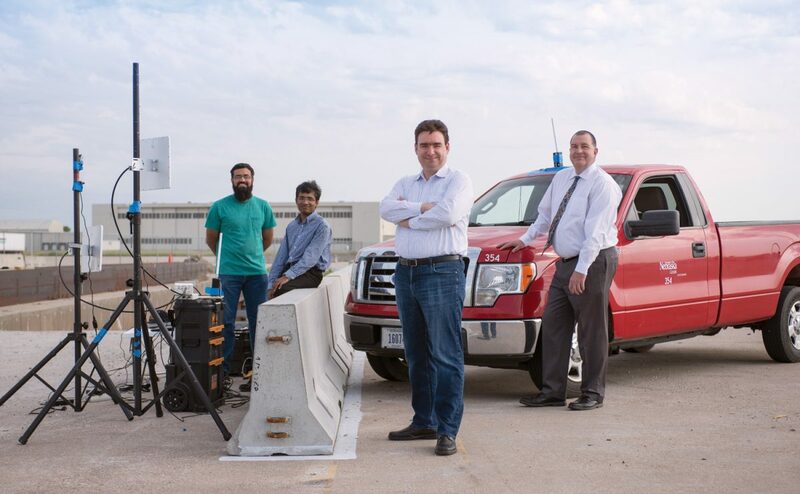 To help reduce single-vehicle crashes, Nebraska computer engineer Mehmet Can Vuran and his team, experts in barrier design, vehicular networking and vehicle automation, are developing cyber barriers that can talk to cars. “Existing vehicle-to-vehicle technology cannot solve all run-off-road problems. We hope cyber barriers will bridge that gap,” said Vuran, Susan J. Rosowski Associate Professor of Computer Science and Engineering. 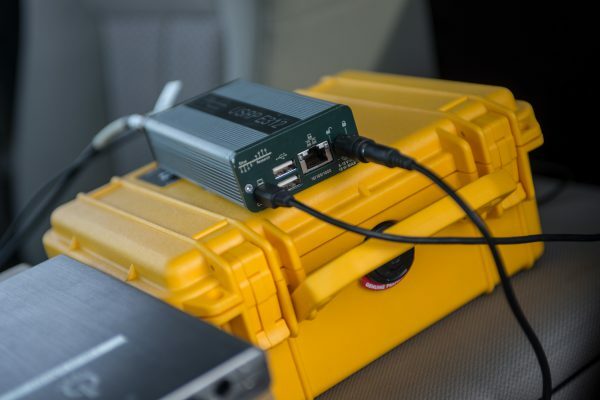 An embedded software-defined radio, which is placed in cars during crash tests. 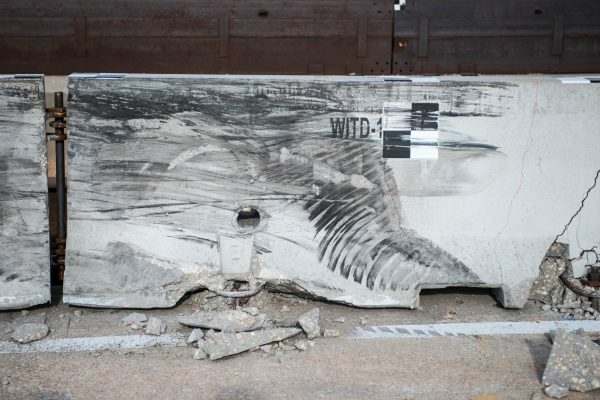 A crash barrier used by the research team. Cyber barriers – both physical and virtual – will alert vehicles when they’re heading off course by sending speed, angle and road condition information to the car’s onboard computer. As vehicle technology advances, cars will one day use the information to take over vehicle control and avoid or mitigate accidents. Rapid changes in speed and angles during a vehicle’s impending crash into a barrier make the work more challenging than communicating between vehicles, Vuran said. Quick decreases in communication distances affect wireless communication reliability. His team’s preliminary work has shown ways to maintain reliability under those conditions. Avoiding an accident also depends on road and roadside conditions, such as whether they are pavement or gravel. Cyber barriers will need to store and send relevant information to vehicles so they can incorporate it in calculating the best split-second action to take. Vuran and his team are in the early stages of finding answers to these challenges. They must ensure their solutions are compatible with existing and developing vehicle-to-vehicle technology. 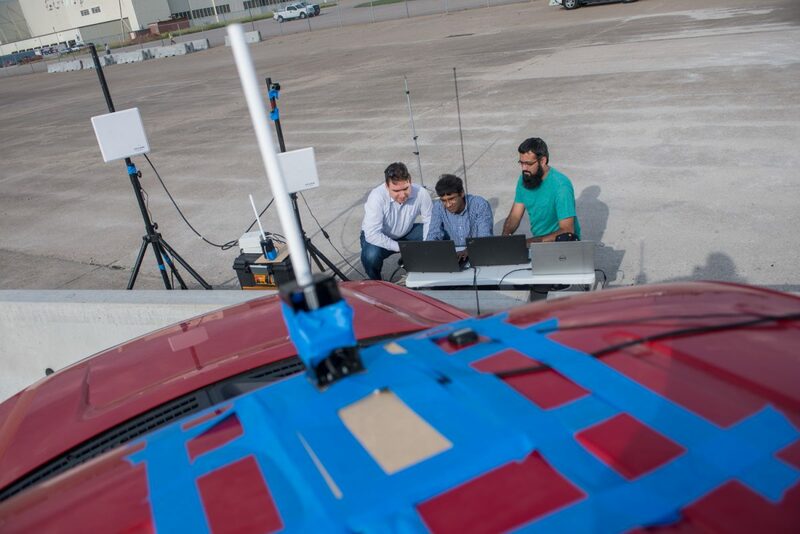 They are testing solutions in collaboration with the university’s Midwest Roadside Safety Facility. As vehicle technology advances, upgrading roads and infrastructure to take advantage of new cars’ capabilities will be costly. Vuran envisions next-generation cyber barriers initially going up in crash hotspots. As barriers are built or maintained, replacing them with cyber barriers will become routine.